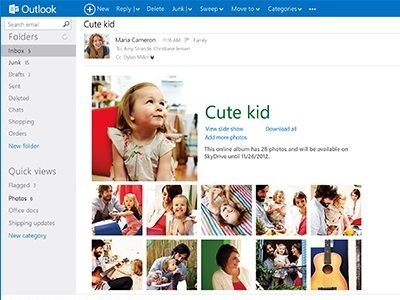 On July 31 Microsoft reinvent completely his mail and throw Outlook.com , which perform an analysis and compare it with Gmail , its direct competitor. A week later many of us have created accounts with Outlook.com domain, but how the devices configured in our IOS and Android? Let's see it. Of course we always have at our disposal the web version of the service, simply enter www.outlook.com and introduce our data, but if we have our account set up in the mail client these are the steps. We will see how to do so via Microsoft Exchange and POP3. We begin by IOS. Open the Settings panel and headed to the "Mail, Contacts, Calendars". We give "Add Account ...". 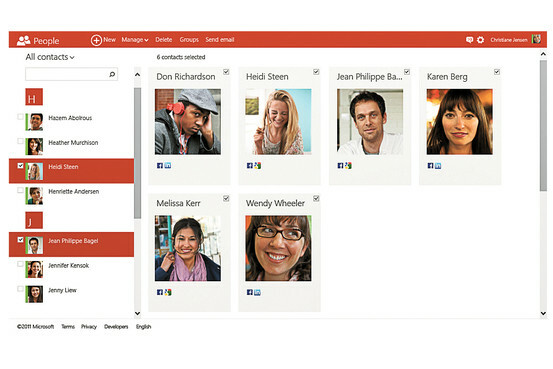 Select Hotmail, enter the data of our own Outlook and click Next. All ready, all that is left to select which elements we want to synchronize. If we do not see the option of creating a new Hotmail account you can select Microsoft Exchange and follow the same steps as with the option of Hotmail (the server in this case is m.hotmail.com, but in principle should not indicate it, it automatically detected). We went into "Add Account in Mail", enter the data and click Next. We ensure that the incoming mail server and outgoing is pop3.live.com smtp.live.com and maintain. Done. Open the mail client that comes standard in our terminal and we indicate we want to add a new account. We introduce our own data and select the option to manually configure it to choose to create it using Microsoft Exchange ActiveSync. We ensure that the information is correct (nuestracuenta@outlook.com and password) and Exchange Server that contains the following m.hotmail.com. Next. There, we just select what you want to sync and go. We introduce our data (email address and password) and make sure that the POP3 server is pop3.live.com. 995 and port security, "SSL / TLS (accept all certif.)" Or "SSL (accept all certif.)". We decided if we want the mail is deleted from the server when you erase the client or not, that to everyone's taste (if we are to be deleted will also go to the web version of Outlook.com, go to Settings> Manage your Account> POP and disposal of messages downloaded and select "Do what state the other program: if you indicate that deleting the messages, delete"). We. The SMTP server must be smtp.live.com. 587 and port security, "None". We adjust the timing and notifications to our liking and ready.